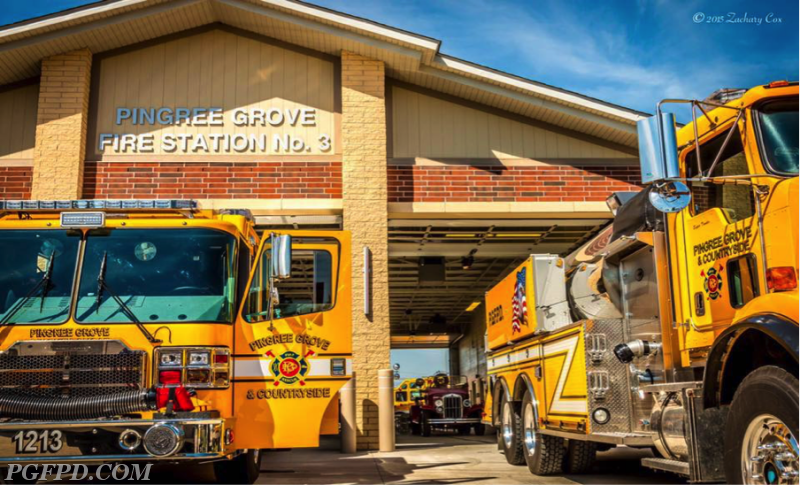 The Pingree Grove Fire Protection District is hosting a community Open House on Saturday September 9th, 2017 at Station #3 in the Village of Pingree Grove. 1600 Reinking Road, Pingree Grove IL, 60140. The Open House will start at Noon and go through 4:00 PM. Meet the Firefighters. Participate in "Hands On" activities. Take a tour of the Fire Station. Watch live demonstrations. Free hotdogs and drinks.